There are two common fears associated with flying: the fear of dying and the fear of having a panic attack. The fear of flying is most often thought of as a fear of dying. A fear of the plane experiencing a catastrophic failure mid flight and plummeting to the earth. People with this type of a fear are watchful for the reaction of flight attendants to bells and bumps during flight, careful to tune into sudden changes in engine noise, and often intolerant of turbulence! Another form of fear of flying occurs when a person is afraid that their anxiety will rise to a level beyond their control during the flight. Catastrophic images of running screaming up and down the aisle, or attempting to open the door at 30,000 ft, render the thought of flying as dangerous and to be avoided. People with this kind of fear of flying are vigilant to changes in their body that might represent the onset of a panic attack. Treatment of a fear of flying includes examining the basis of the person’s fear – is it a phobic fear of dying in a plane crash, or the phobic fear of having a panic attack, and treat the problem accordingly. At Walters Green Clinical Psychology Practice, we offer cognitive and behaviour therapy to address both types of fears. Call us on 38708191 to book an appointment. Walters Green Clinical Psychology Practice provides 1:1 treatment programs to help you reduce and manage your anxiety and mood. 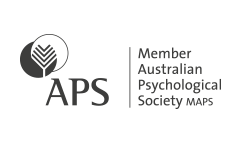 All clinicians at Walters Green Clinical Psychology Practice are Doctors of Clinical Psychology, and are Members of the Australian Psychological Society College of Clinical Psychology. See your GP for a referral and call us today on 32625903.